After serving 3 years as Chapter President I am truly excited about handing the reins over to Ken Weber. We have seen first hand how dedicated volunteers and some hard work can really make a Chapter a success. For several years we have now experienced our membership numbers virtually doubling each year which confirms our belief that the Saskatchewan Rivers Chapter of SCI will make a difference here in Saskatchewan. I like being part of an organization who's motto is "First For Hunters". 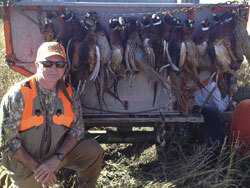 That's what I am – a hunter and if you are too – then YOU need to be a member of the Sask Rivers Chapter as well. 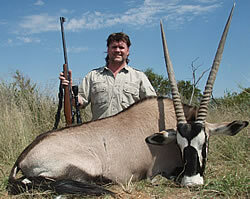 Don't take our right to hunt lightly –I don't! I was born in Humboldt and now live in Pike Lake area. Hunting surrounds my life as I married a hunter and fisherman and we have 1 daughter who also has hunted on a few occasions. We operate a Outfitting business for Waterfowl, Whitetail Deer and Black Bear, also operate a boat rental and fast food business in the Pike Lake Park. When not busy I like to get out for a round of golf along with visiting family and friends. Our first adventure to SCI was in Reno 3 years ago, and we have gone every year since, it is exciting meeting new people from all over the world. I attended our first meeting in Saskatoon just to possibly win some of the great prizes that they were offering at the meeting, what I did get out of it was becoming a board member. The past 2 years I have enjoyed being secretary and I look forward to being Vice-President and helping this Chapter in anyway I can. I was born in Lake Lenore, Saskatchewan into a family that loved to hunt. After finishing high school I did a short stint in the oil field business and then settled in Saskatoon where I now live with my two grown children. After working in the meat industry for many years I now work at Cabelas in the gun department which is a perfect job for someone who likes to talk to people about the outdoors. I love to go on a yearly hunt in South Dakota hunting pheasants and am looking forward to going to South Africa next year for a plains game hunt. Raised on a farm in the Hanley area, I got a start to my outdoor life. 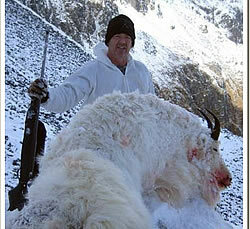 I spent my childhood days hunting with family & friends. I moved to Saskatoon after high school and continued my outdoor lifestyle hunting & fishing every chance I got. 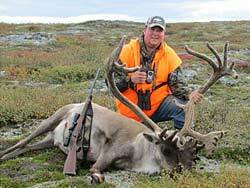 Recently I expanded my hunting experience with a trip to Nunavut for Caribou and a safari to Africa. I always look forward to my next adventure and I am also looking forward to contributing to a successful Safari Club Chapter here in Saskatchewan. I was born in Saskatoon and grew up in Dinsmore, lived in Hudson Bay and now live in the Pike Lake area. I am married for the past 33 years and have 1 daughter. We operate a Outfitting business for Waterfowl, Whitetail Deer and Black Bear along with 2 other businesses. Ever since I can remember I love to hunt and fish and do it whenever I can. 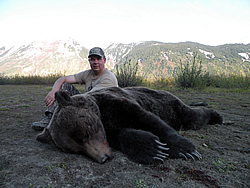 I have gone on a cougar hunt in Alberta, mountain goat hunt in Kodiak, Alaska, and have hunted wild turkeys in the state of New York, been fishing in Alaska, Niagara River, and Puerto Vallarta. Have enjoyed travelling to the SCI Convention in Reno the past 3 years and meeting other Outfitters and hunters from all over the world. What I like about SCI is that it is for the hunters and there rights and as a member of the Board of Directors I look forward to help making this Saskatchewan Chapter successful. I grew up in the outdoor paradise of Nipawin, Saskatchewan. I received a B. Sc. at the U. of S., then began work for Ducks Unlimited. One of my first positions was up in the Cumberland Marshes where I had to airboat and helicopter to job sites.......I found out other positions that came along later in my career with DU only became tamer by comparison! 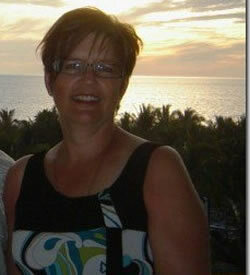 Eventually I became the provincial supervisor for fund-raising and membership services. 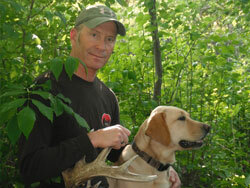 I left that position to operate my own whitetail and bear outfitting camp near Nipawin. After 11 years of close encounters with angry bears, and all but a select few extremities nearly frozen off I sold the business, only to re-enter the outfitting world as a fishing lodge owner. Now I can fix anything but have forgotten how to fish! In addition to the camp, I own and publish Big Buck Magazine. It seems I rarely endanger myself with frostbite these days, however I suffer tunnel vision from staring at a computer screen for too long.....I am pleased to be a member of SCI as I believe the organization provides a strong voice, standing up for hunter's rights in today's challenging societal conditions. I was born and raised on a mixed farm near Middle Lake, North of Humboldt. Growing up with hunting, fishing and trapping being a way of life, I fell in love with the outdoors at a very young age. I have been on hunting and fishing adventures from Whitetail and Walleye in my backyard to Kudu and plains game in South Africa to free range exotics in the rock hills of Texas. I have plans on returning to Africa and Texas in the near future. I am currently working in the oil and gas industry at seasonal jobs. When I'm not doing that I farm with my father and do taxidermy on the side. I was deeply honoured when asked to join the board of directors and hope to serve the Sask Rivers Chapter and it's members in the best way I can.